for us to pick only 4 winners! The quality of submissions to the SikhNet Youth Online Film Festival this year was phenomenal. Thousands of you tuned in to watch the movies, like your favorite films and share your comments. It took multiple viewings of the films for our panel of judges to choose the winners. Because the competition was so close this year, SikhNet has decided to offer an additional cash award! Read on to find out who won and why we just had to award FIVE cash prizes instead of the usual four. 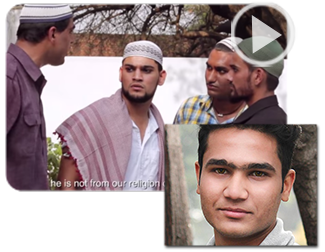 Directed by: Pardeep Singh (Age 26) Mohali, IndiaThis short, expertly produced film shares an incredibly powerful lesson with great visuals and minimal dialogue. Two friends witness several different interactions. Some where Sikhs aren’t living up to their values. Other examples where they are, and something positive comes from it. Which example will you choose to follow? 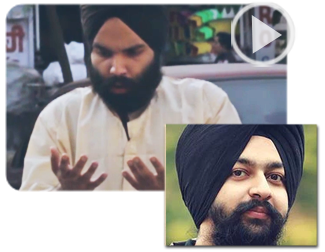 Directed by: Suhaan Singh (Age 21) Punjab, IndiaThis inspiring, beautifully made film highlights the universal values of the Sikh faith and the power of those values to change the heart. What happens when a Sikh begins to visit a mosque and do his devotion there? He helps another remember the One within all temples and within all of us. 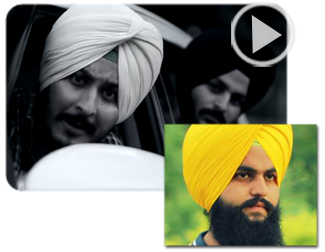 Directed by: Sukhmanjot Singh (Age 23) Jalandhar, IndiaThe SikhNet judges playfully referred to this film as “The Sikh Christopher Nolan Film” because you might have to watch it twice and think deeply about what you saw. Based on a true story about the mystical power of prayer, Gurmukh looks at another dimension of what it means to create change in the world. You will enjoy this beautifully filmed and deeply spiritual story. This year, a fourth film, Savaaya, caught the imagination of so many who watched it, and we really wanted to reward the filmmakers for their work. 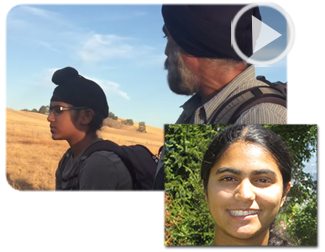 This wonderful and humorous film tells a very powerful lesson from Sikh history about abundance and the Guru’s blessings. It’s so good that it caused us to create a special “Savaaya” award of a $500 cash prize to this film. Thank you for making us laugh and teaching us a lesson as well. 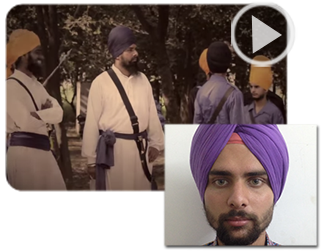 Directed by: Avreet Singh (Age 22) Punjab, IndiaLanguage affects our attitudes, and reflects the tides of history. 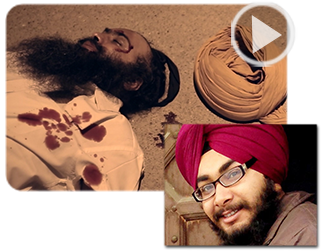 This film shows how one word exemplified the victorious spirit of some hungry Khalsa. This movie embodies beautiful film production and editing, with a lovely story, too. It is an afternoon like any other. A middle class Sikh man is working very hard outside preparing snacks when suddenly some guys do their best to insult and provoke him. How will he choose to act towards them? This movie exemplifies Agents of Change in a simple, down-to-earth way that everyone can follow. This is the story of four friends who choose to use the piggy bank in a better way. How? Watch & share your comments with us. This movie was one of the most popular from the film festival this year. Some people think that they are Sikh by birth, but in reality they live in a way far from that. So what is a Sikh? Check out this filmmaker’s view of how change comes about in our lives. This is definitely a film to share with the young adults in your life. It speaks directly to a common issue that they face today. A boy goes on a camping trip with his father who insists that he use no electronics during the weekend. The boy finds it difficult to keep away from his phone but eventually discovers the value of self control and moderation as taught by the Sikh Gurus. A HUGE thanks to all of the directors, actors and crews of these wonderful, thoughtful Sikh films. You have made a terrific contribution to the voice of Sikh media. All of us at SikhNet are continually impressed by how many people have given so much thought, care and effort to create each of these movies. Congratulations to all the filmmakers who have realized their vision and shared it with all of us. Thank you!If you have not watched all of the submissions this year, now is the time! There are some wonderful gems here. We know that every single one of these films will be watched for years to come. In truth, EVERY FILM IS A WINNER. We would like to extend our special thanks to the MBSK Foundation for sponsoring the Film Festival this year. Your support of Sikh youth around the world is gratefully appreciated.